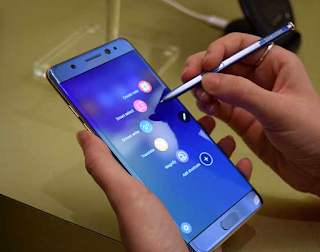 Samsung Galaxy Note 8 Release Date 2017 - Samsung Galaxy Note 8 is expected to be launched in 2017. There are currently no leaks on the release date for this but it’s pretty easy to predict it as Samsung usually has the same yearly schedule. The Galaxy Note 7 was launched in February 2016 while the Galaxy S6 was launched in March 2015. From here, we can expect to see the release date of Samsung phone in February or March 2017. The phone is expected to be available both in stores and online around two or four weeks afterward. Samsung usually uses its Unpacked press conference at Mobile World Congress. The MWC event will run from 27 February to 2 March 2017 so we have much better release date prediction for Samsung Galaxy Note 8. "According to our sources, the Galaxy Note 8 is codenamed Great. You read that right. Great, and not Baikal as had been previously rumored. If that’s not a big sign that Samsung is doing all it can to make the Galaxy Note 8 special, we’re not sure what would be," said the report. But the source also revealed a model number for the handset; SM-N950F. Now that number specifically refers to the international variant, as Samsung is known to put particular letters on the end denoting different regional models. 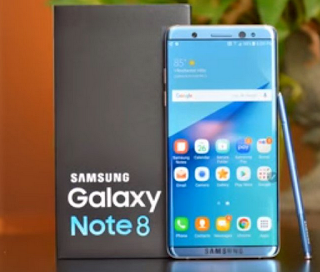 The Samsung Galaxy Note 8 is widely believed to be the first 4K handset from Samsung. Beyond this Samsung will focus on quality, especially in the battery department, and further refinements to the handset’s performance and overall aesthetics. The Galaxy Note 8, reports suggest, could be more expensive than its predecessors as well. All the new spec and hardware, as well as Samsung’s losses in 2016 off of the back of the Galaxy Note 7 discontinuation, all point to a new premium price mark-up. Samsung has confirmed that the Galaxy S8 will be announced on March 29, 2017. That's when we'll get our first glimpse of what might be in store for the Galaxy Note 8, as new Galaxy Note phones tend to borrow features from the core Galaxy S line-up. In other Samsung news, a new report from Sammobile suggests that the Galaxy Note 8's codename is "Great", and that the model number will be SM-N950F. Read on to find out more. Following Samsung’s epic Galaxy Note 7 fail, there’s no shortage of pressure on the company to get the Galaxy Note 8 right. Everyone can agree that the best outcome for the next phone will be that it doesn’t spontaneously combust. And with Samsung expected to release its findings about the Galaxy Note 7 imminently, there's a good chance this will all be resolve. We’re also hoping for impressive hardware, software and design too, of course. On the bright side, we’re in the unusually fortunate position of knowing that the Galaxy Note 8 will be released in 2017. In a statement about Samsung’s Galaxy Note 7 recall issued in October 2016, the company said that both the Galaxy S8 and Galaxy Note 8 would be released next year i.e. 2017. Samsung has reportedly codenamed the Galaxy Note 8 as 'Baikal'. We've got no idea what that means, and Google Translate offers zero insight. But still, Apparently, the issue was caused by battery cells that were squeezed into too tight a space, which caused the poles to connect and generate excess heat – kaboom. But Samsung is now nearly ready to reveal the full extent of what went wrong with the Galaxy Note 7. We're expecting a comprehensive report on the fiasco before the end of the year, following an extensive investigation involving South Korean and American authorities that began on November 11. We’re certain that Samsung will be devoting every resource available to ensure that both the Galaxy S8 and Note 8 don’t suffer the same fate.